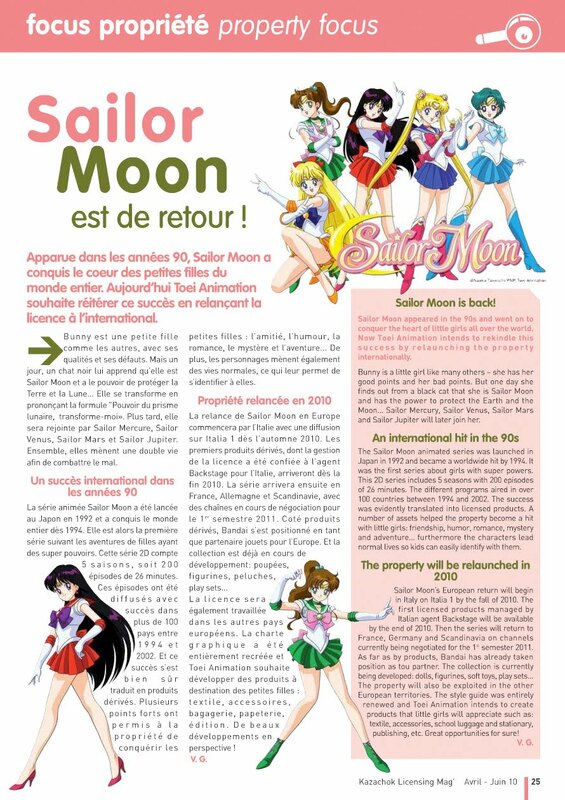 In this month’s Kazachok Licensing Magazine (which we presume was handed out at their recent conference), there is an article about the return of Sailor Moon. We’ve patched together the image here large enough for you all to read – and everything in the pink box says nothing different than what the black text in French says (click the image to view). One note though – when they say “textiles” they mean “clothing”. Here’s hoping they have a lot more t-shirts etc. available for us older fans! Anyway, back on topic. There is nothing mentioned here for the UK or any other English language territories, but the article does confirm a return for the following countries for the Winter/Spring TV Season in 2011: France, Germany, and Scandinavia. As of this writing we don’t know which Scandinavian countries will be included (we have gotten a lot of responses from Finland, on our last survey – did you Finns not get it?). It also said that new merchandise will be available in Italy from Backstage at the end of the year, including luggage, clothing, accessories, stationary, and books. As of this writing, we are unsure if “Books” includes manga. 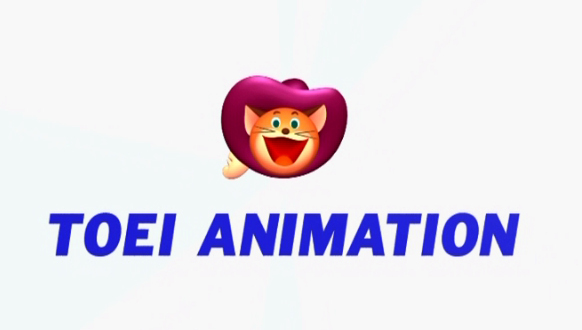 Bandai, is also going to be manufacturing some toys such as dolls, plushes, playsets, and figurines. We hope to see a return of the gashapon in Japan! It is important to note that it is possible that not every market will get all of Sailor Moon if they did not get it before. Many Sailor Moon fansites are reporting this but they are forgetting this key piece of information – this is why we started our latest campaign. And, a word to the fandom around the world – please try to keep your sites updated with all the different versions of Sailor Moon with as much information as you can find (such as a cast list), now that the revival is happening this should be a lot easier. There have been so many times when our site (and several others) have been in a pinch for information about a different version and it simply could not be found. Your readers will thank you :).